Sand Dollar, Sand Dollar. Peter makes a wish on a sand dollar he finds on the beach, thinking he can control the sea. J.B. Lippincott, NY. ISBN 0-397-31891-X. Hardcover. 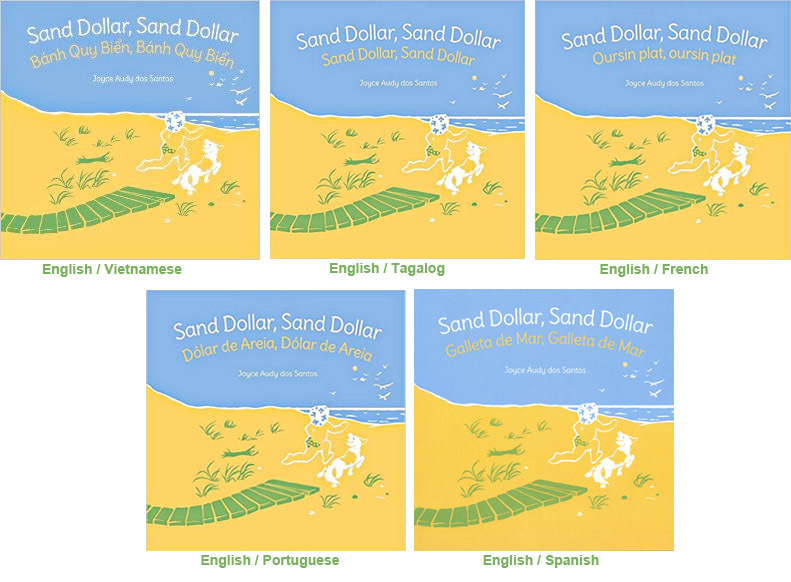 ● Sand Dollar, Sand Dollar is now available in dual-language paperback versions in: Spanish / English ISBN-13: 978-1683040002, French / English ISBN-13: 978-1683040095, Portuguese / English ISBN-13: 978-1683040101, Vietnamese / English ISBN-13: 978-1683040118, and Tagalog / English ISBN-13: 978-1683040125, and German / English ISBN-13: 978-1683040699. 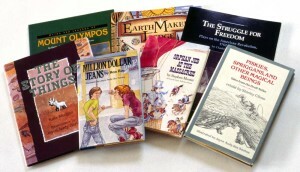 Bab’l Books, Inc., Boston and Amazon.com. Paperback. Log Cabin in the Woods, (by Joanne Landers Henry) which I illustrated. Four Winds/Macmillan. Re-published by Guild Press, Emmis Publishing, IN. Scholastic Book Club. Ages 10-13. 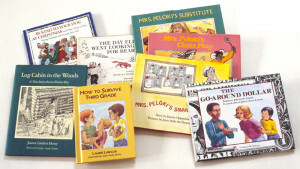 Series of three books, Mrs. Peloki’s Snake (Joanne Oppenheim), a 1981 IRA Children’s Choice book. 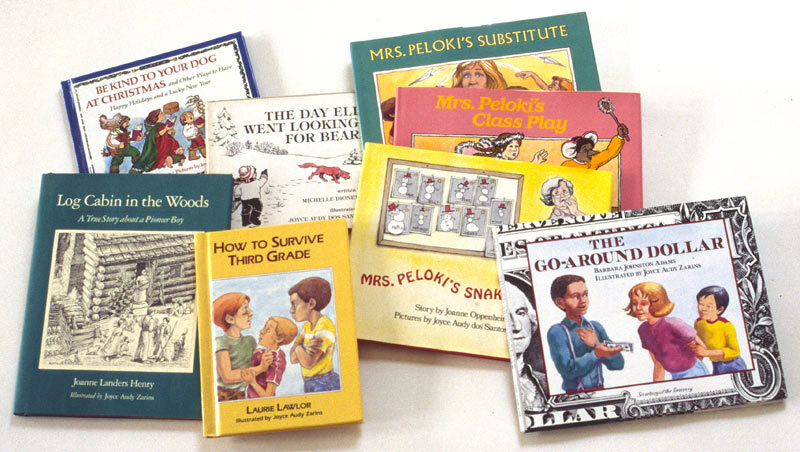 Mrs. Peloki’s Substitute, Mrs. Peloki’s Class Play, 1984-85 nomination for The Golden Sower: the Nebraska Children’s Book Award. Ages 4-8. Dodd, Mead. Orphan Jeb at the Massacree (Stephen Mooser, of SCBWI fame) is one of the founders of the Society of Children’s Book Writers and Illustrators. Ages 9-12. Knopf. 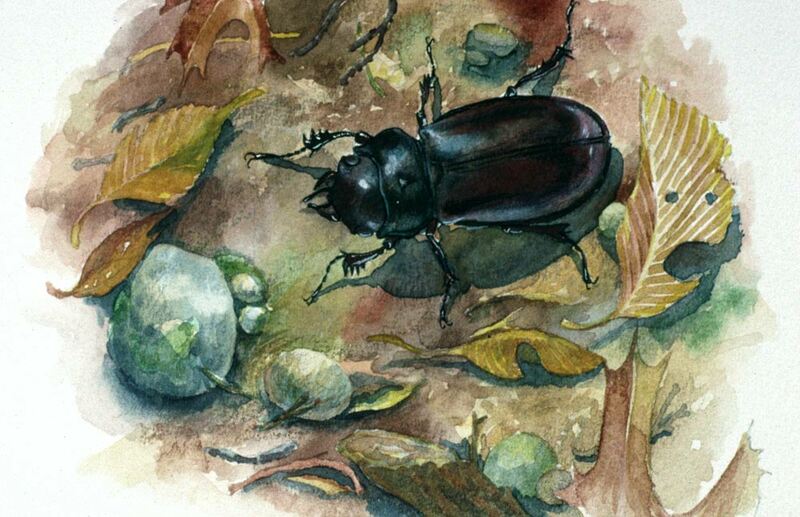 Piskies, Spriggans and Other Magical Beings (Shirley Climo). Ages 8-10. T. Y. Crowell. Be Kind to Your Dog at Christmas (Barbara Costikyan). Age 8-11. Pantheon. 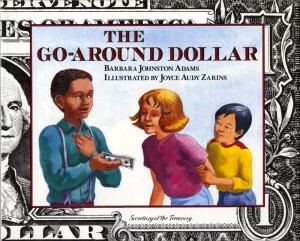 Gus Goes to School (Jane Thayer) was one of the popular Gus the Ghost books. Age 4-6. William Morrow. The Day Eli Went Looking for Bear (Michelle Dionetti). Ages 4-7. Addison-Wesley. The Story of Things (Kate Morgan). Ages K-3. Walker & Co. The Struggle for Freedom: Plays on the American Revolution 1762-1788 (Charles F. Baker III) and The Myths and Legends of Mount Olympos (Rosalie and Charles F. Baker III) were illustrated by me alone. Earth Maker’s Lodge: Native American Folklore, Activities and Foods (edited by E. Barrie Kavasch), illustrated by myself, Chris Wold Dyrud and Tim Foley, won the 1995 Book Builder’s Award for Excellence in Graphic Arts. Cobblestone Publishing. I was born Joyce Anne Audy. My first books were published under my legal married name Joyce Audy dos Santos. Years later, I remarried and took the name Joyce Audy Zarins and that’s what is on the cover of the more recent books. 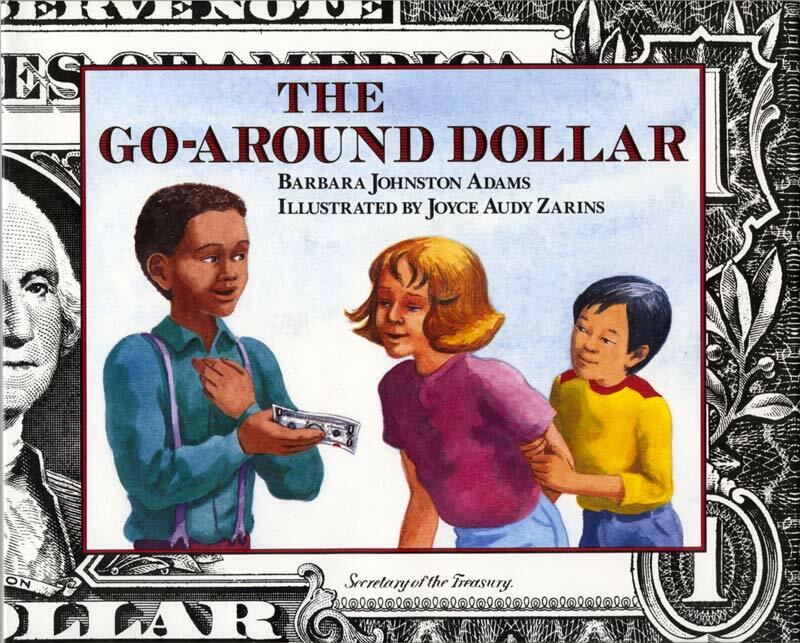 As you can see, J.A.Zarins is an abbreviation. Birna received an Honorable Mention in the Young Adult Short Fiction Category for the Writer’s Digest 2015 Popular Fiction Awards (TBA June, 2016). It is one of the YA stories in Exchange: Short Stories in Diverse Voices. I Am Gudrid, my YA historical novel (unpublished so far), was excerpted as a novella in two issues of Cicada Magazine, summer 2014.